HCM CITY — On Tuesday, police in HCM City caught six Chinese citizens organising online gambling from a villa in Phú Hữu Ward, District 9. The accused include five men and one woman. They told police they had rented the villa since September, 2018. They worked as bookmakers, accepting wagers from gamblers in China. Participants bet on the last two numbers of the first lottery prize. 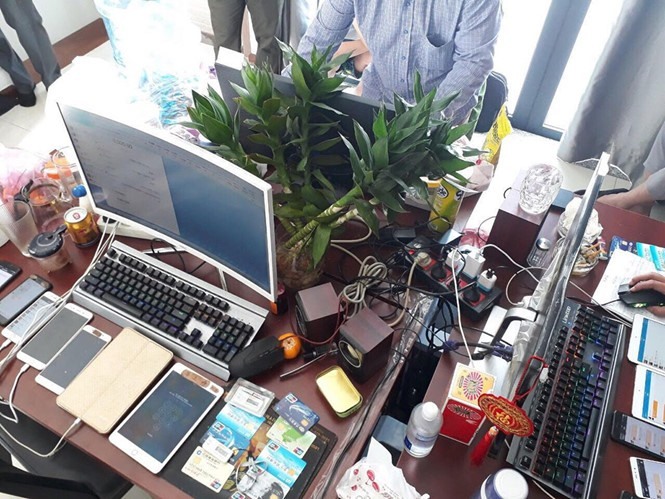 Vietnamese police seized three computers, some mobile phones and other evidence. The six bookmakers will be expelled from Việt Nam soon. On October 27, police in central city of Nha Trang caught ten Chinese nationals illegally playing mahjong at a rented house on Hùng Vương Street.